International Dot Day: Come make your mark! 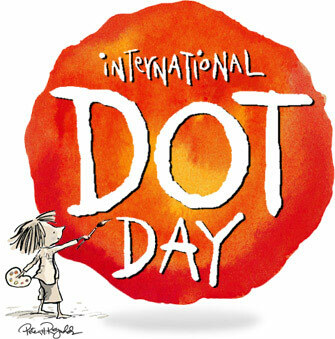 "International Dot Day, a global celebration of creativity, courage and collaboration, began when teacher Terry Shay introduced his classroom to Peter H. Reynolds’ book The Dot on September 15, 2009. The Dot is the story of a caring teacher who dares a doubting student to trust in her own abilities by being brave enough to “make her mark”. What begins with a small dot on a piece of paper becomes a breakthrough in confidence and courage, igniting a journey of self-discovery and sharing, which has gone on to inspire countless children and adults around the globe." Drop in to the Berwick & District Library and make some art.